Data released by the National Bureau of Statistics shows that Internally Generated Revenue by states increased in 2017H1. The IGR increased from N392.1 billion in 2016H1, to N396.9 billion in 2017H1, a slight 1.2 percentage half Year-on-year growth. Also, N149.5 billion was generated in 2017Q3. Lagos state remains top in internal revenue generation, with a significant 42.3 percent share of total IGR in the review half year. The improvements in IGR may be attributable to efficient revenue collection by each reported state from the various sources of internal revenue: taxes, fines and fees, licenses, earnings & sales, rent on government property, interests and dividends, among others. Power sector analysis shows an increase in power generated by 15.5 percent from 3639.2 megawatt to a peak of 4196.2 megawatt between April 22, 2016 and April 29, 201612, albeit a sharp fall to 25.2 megawatts on April 23, 2016 following a system collapse13. In a bid to attain the targeted 10,000 megawatts by 2019, the Federal Government is set to complete the ongoing 47 power transmission projects across the country, which would boost power supply14. However, the delays in passing the budget into law is a major constraint to the completion of the projects. Thus government needs to speed-up the passage of the 2016 budget to provide the funds to complete the projects. 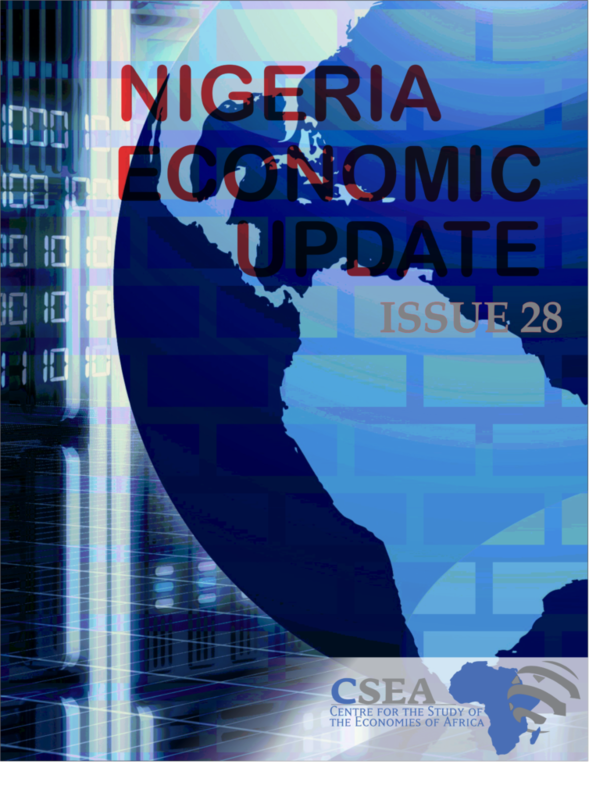 Nigeria's Real Gross Domestic Product (GDP) increased at an annual rate of 0.55 percent in 2017Q21, compared to the -0.91 percent (revised) in 2017Q1 indicating the first quarterly positive growth rate since 2016Q1 and an evidenced exit from five quarters of economic recession. The acceleration in real GDP in 2017Q2 reflects the significant increase in oil sector GDP from -11.64 percent in 2017Q1, to 1.64 percent in 2017Q2 a 13.3 percentage points Quarter-on-Quarter increase. However, Non-oil GDP moderated by 0.3 percentage points to 0.45 percent. Despite the recent favorable economic performance, growth prospect remains fragile.